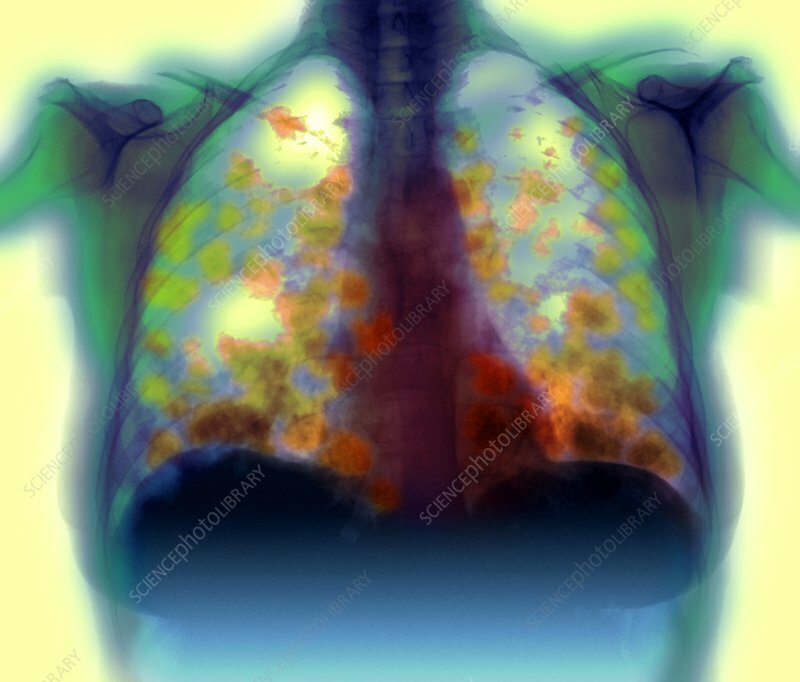 Secondary lung cancers, coloured X-ray. Metastases (secondary cancers, orange) have spread throughout the lungs of the patient. They have spread from a primary site of cancer in the lungs. Once a cancer has spread and invaded large areas of the body, it is invariably fatal. Radiotherapy and anti-cancer drugs can slow the progress of the cancer, and can help extend the patient's life. Painkilling drugs and medical nursing can improve the quality of the patient's life.